More than one million people are expected to attend the week-long festivities in the San Francisco Bay Area leading up to Super Bowl 50 on February 7, 2016, at Levi’s Stadium in Santa Clara, California. 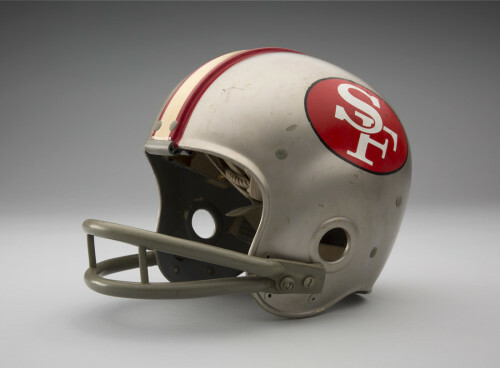 In preparation, the SFO Museum at San Francisco International Airport is hosting a football-themed exhibition featuring memorabilia and game-worn artifacts from each of the league’s thirty-two franchises, with most items on special loan from the Pro Football Hall of Fame. 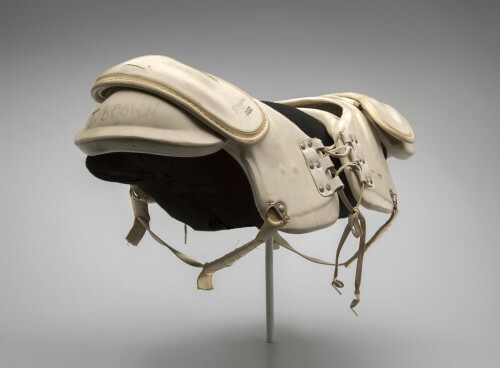 Among the objects on display are items belonging to Hall of Famers – including Joe Montana’s home jersey, Walter Payton’s helmet and Jim Brown’s shoulder pads. 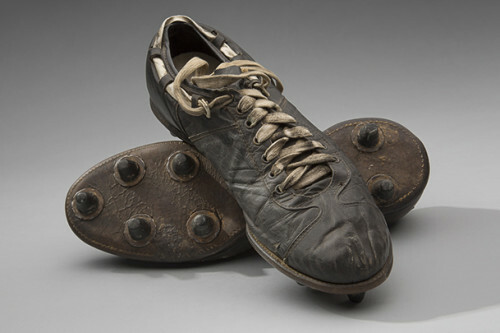 Look for the exhibit: The Nation’s Game – The NFL from the Pro Football Hall of Fame in the Terminal 3 – post-security departures level through February 2016.